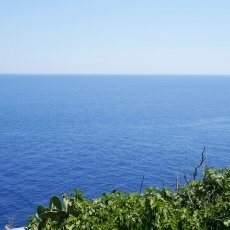 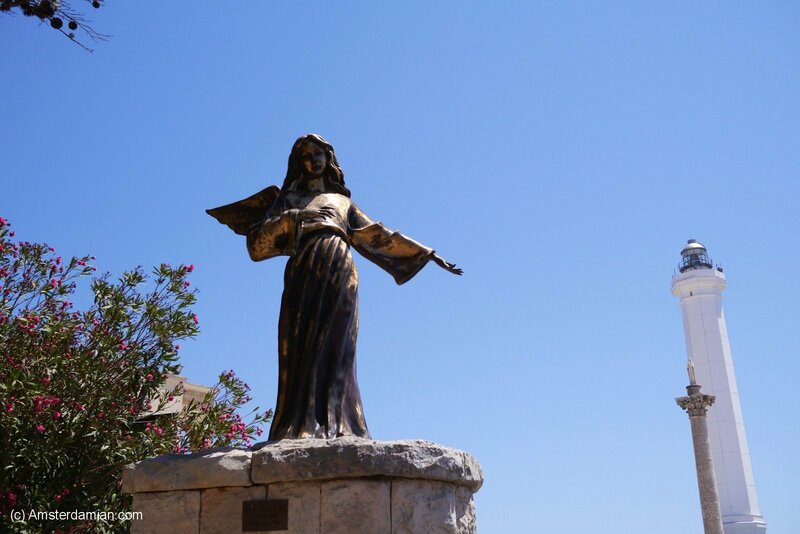 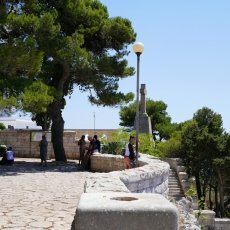 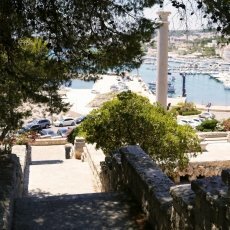 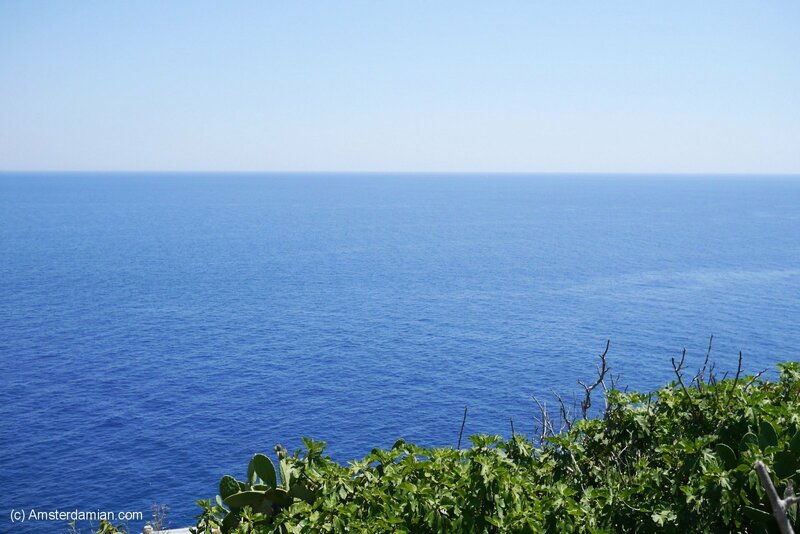 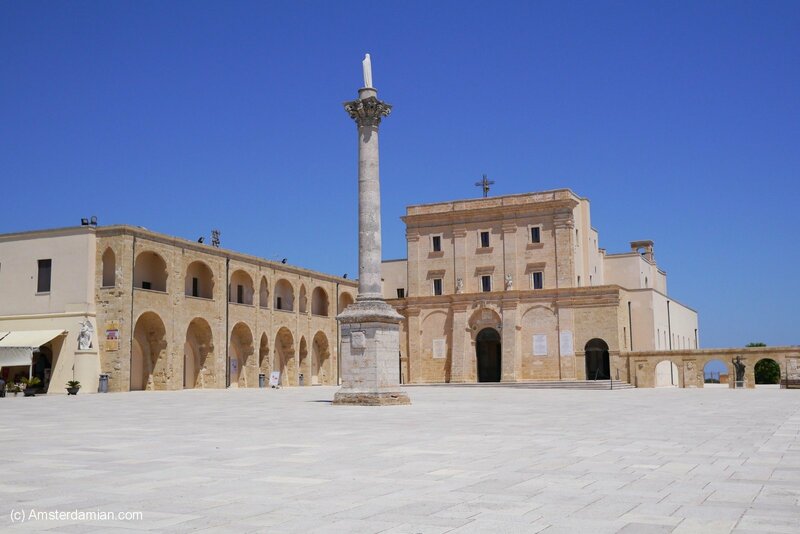 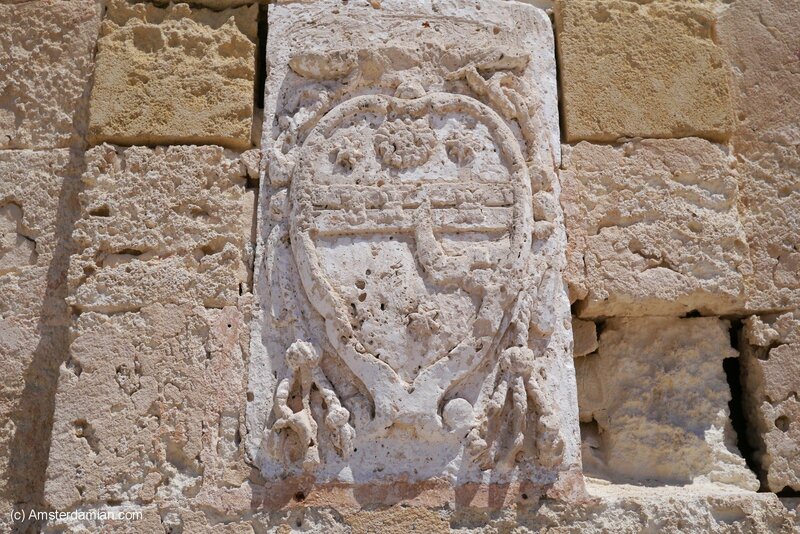 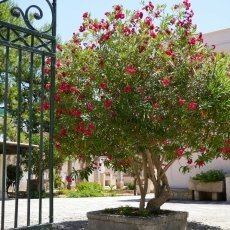 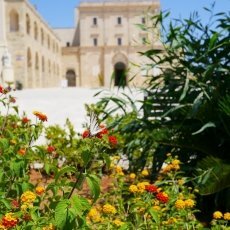 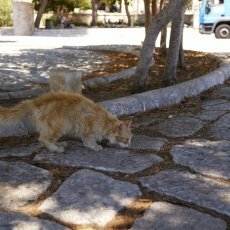 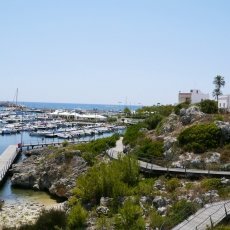 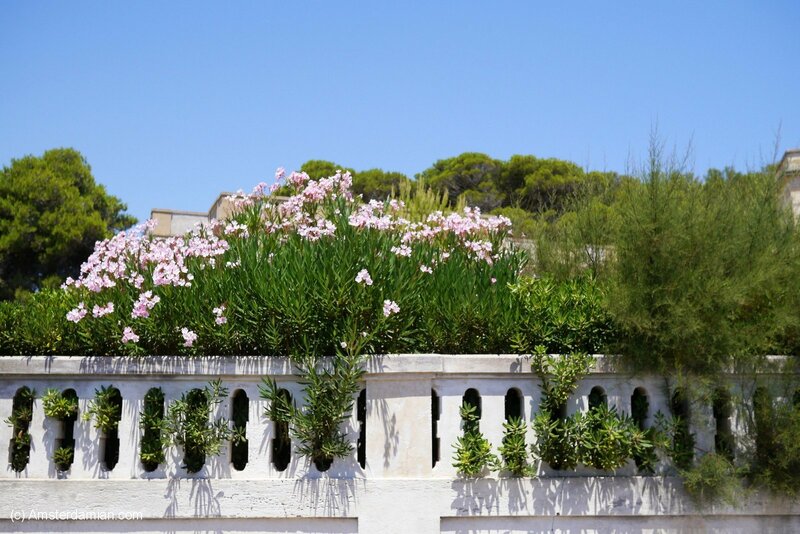 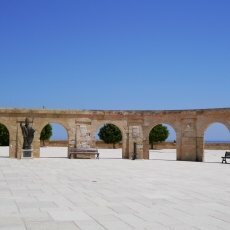 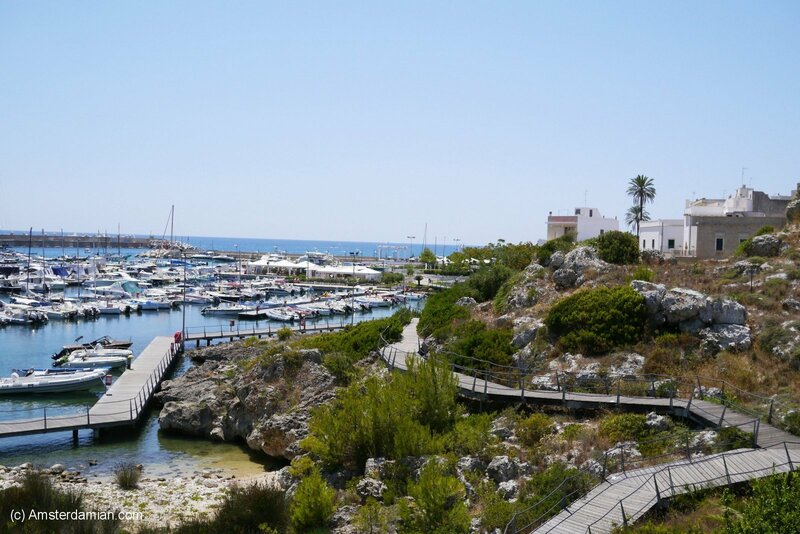 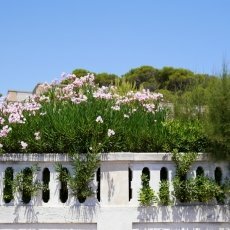 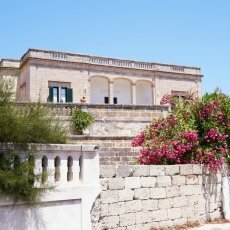 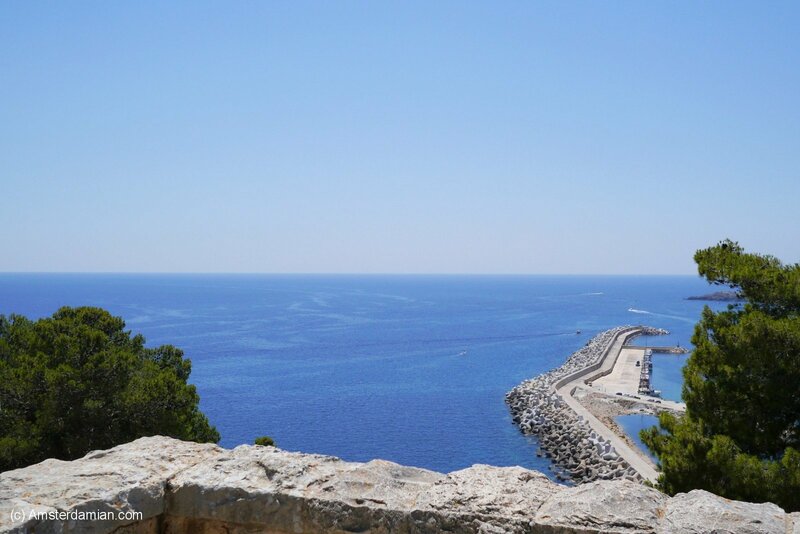 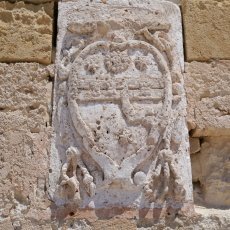 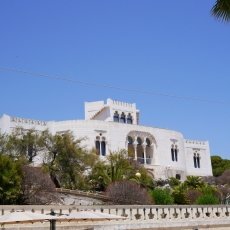 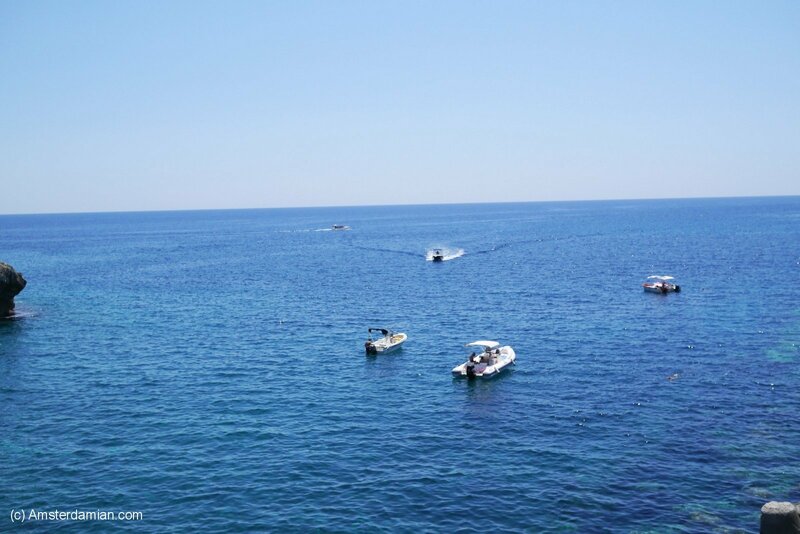 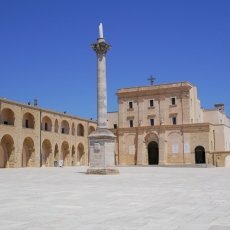 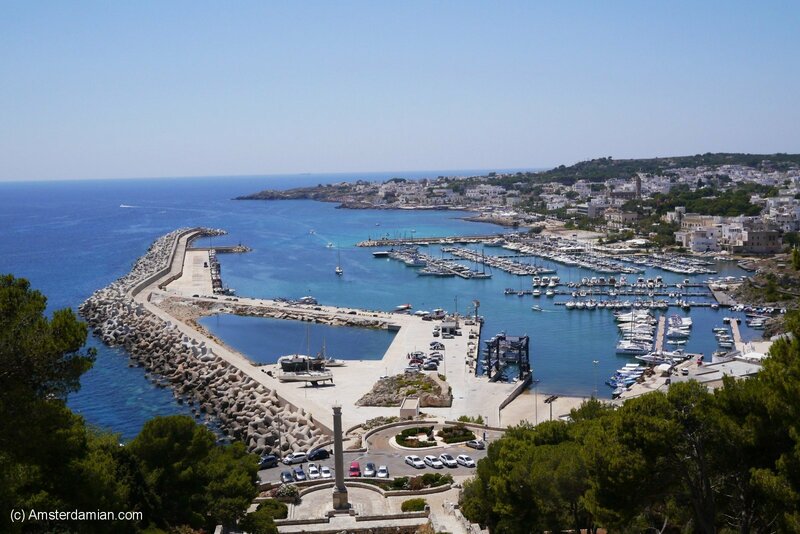 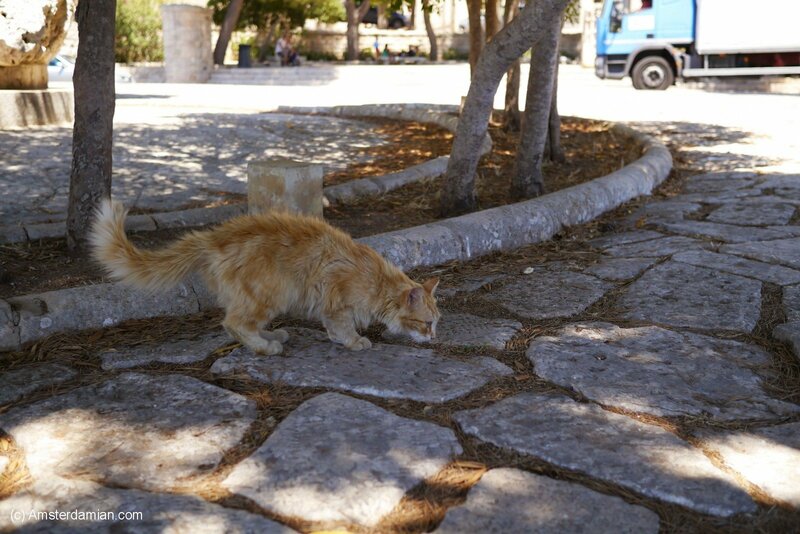 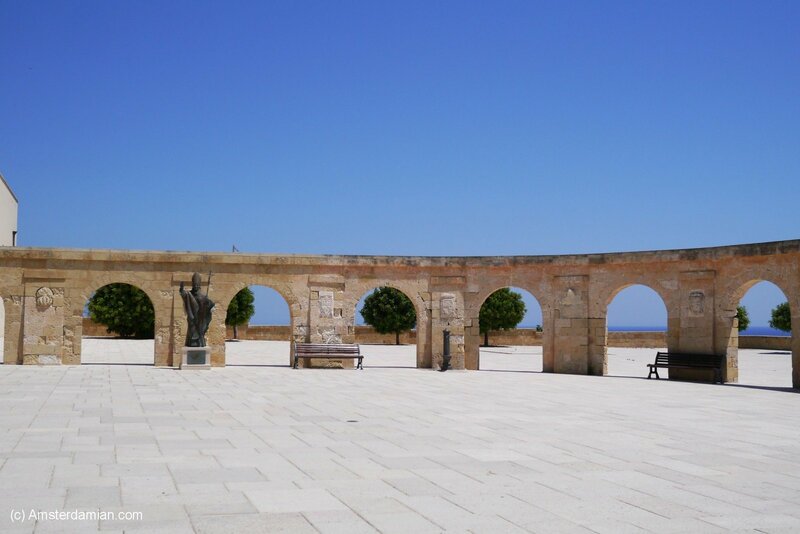 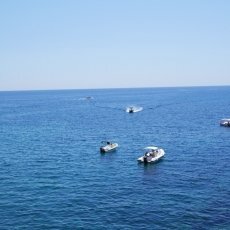 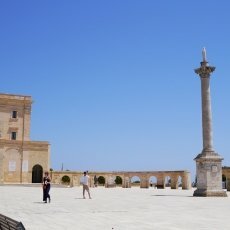 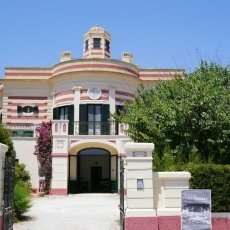 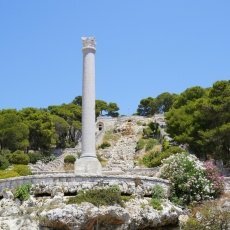 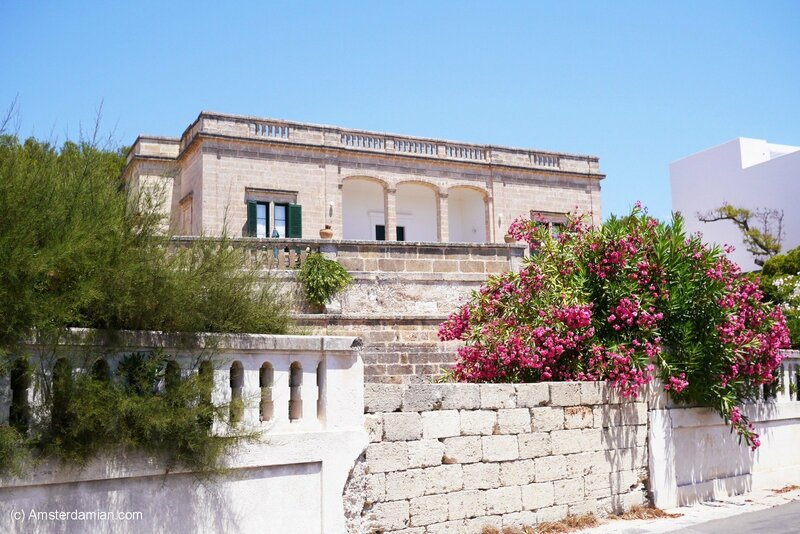 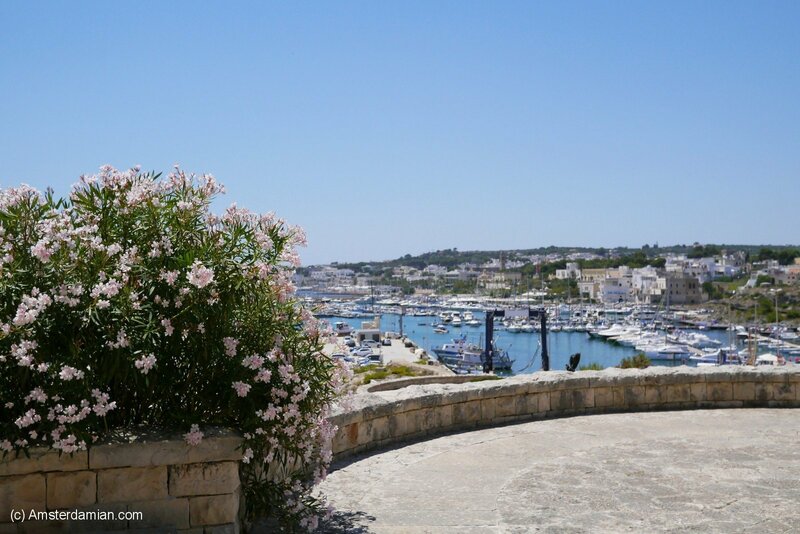 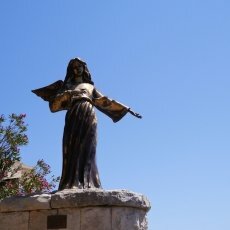 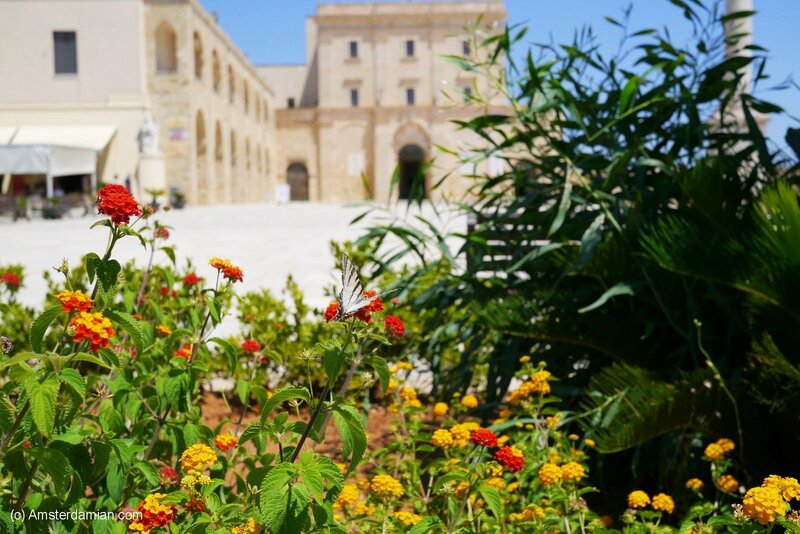 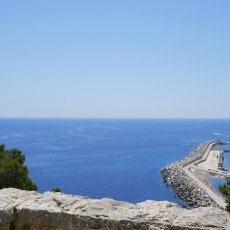 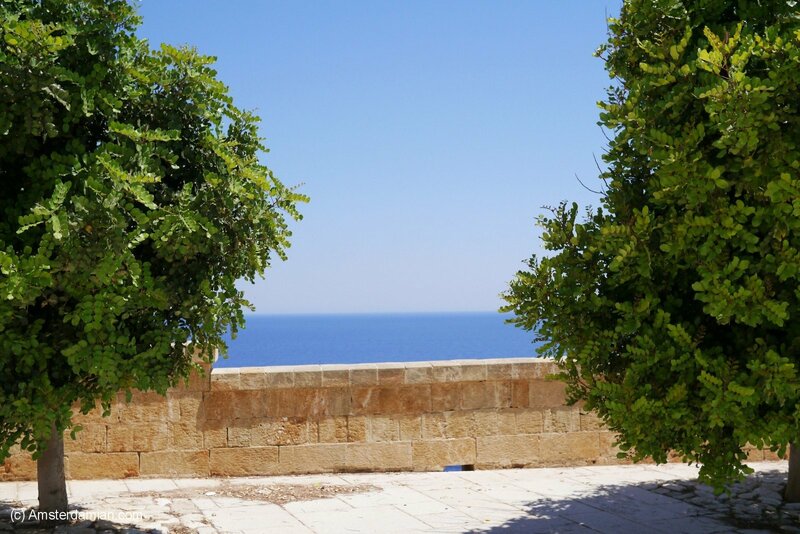 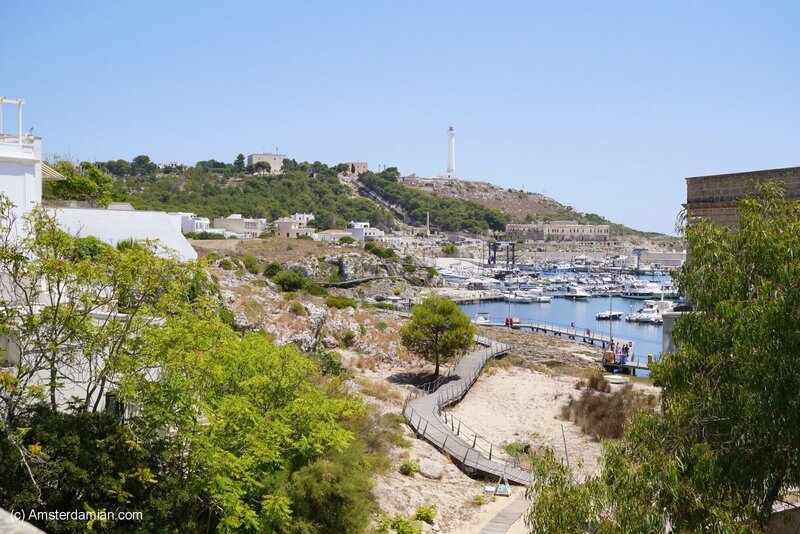 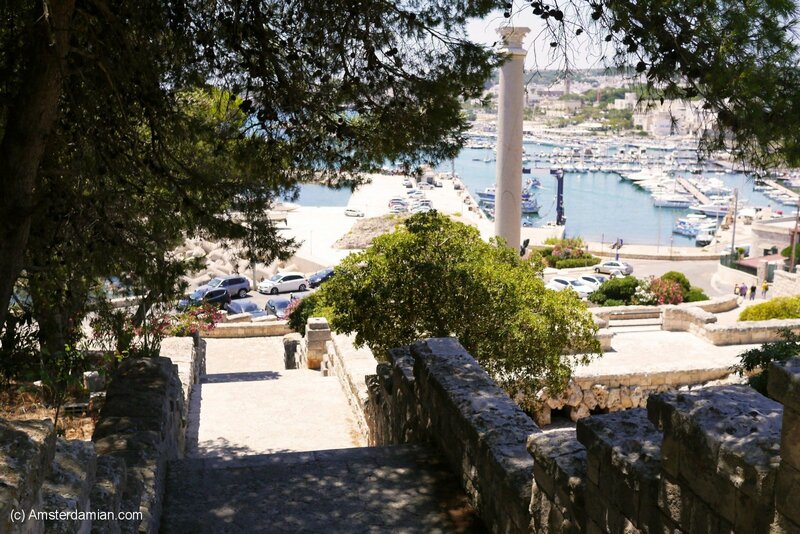 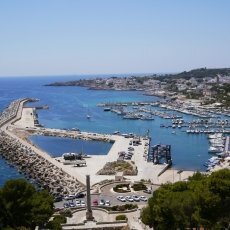 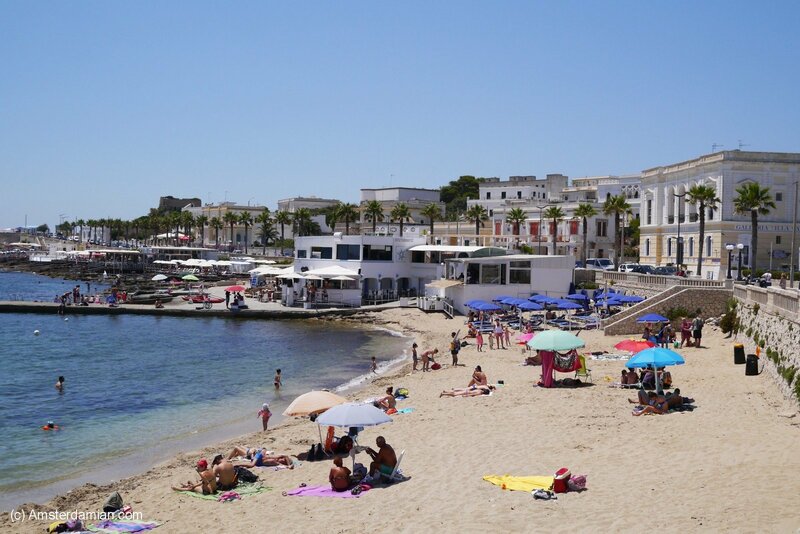 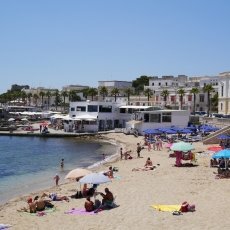 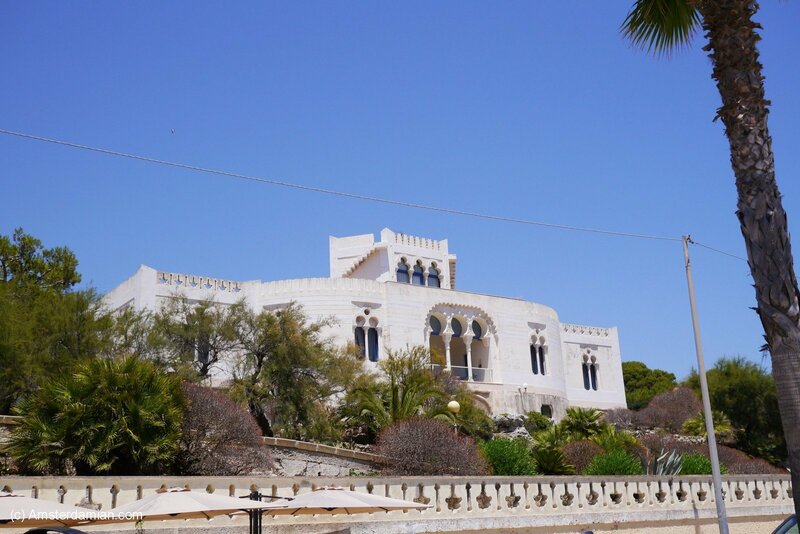 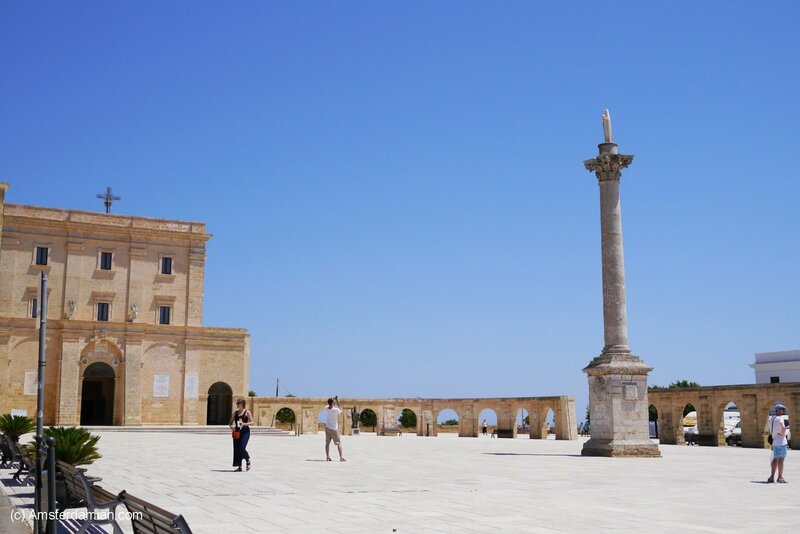 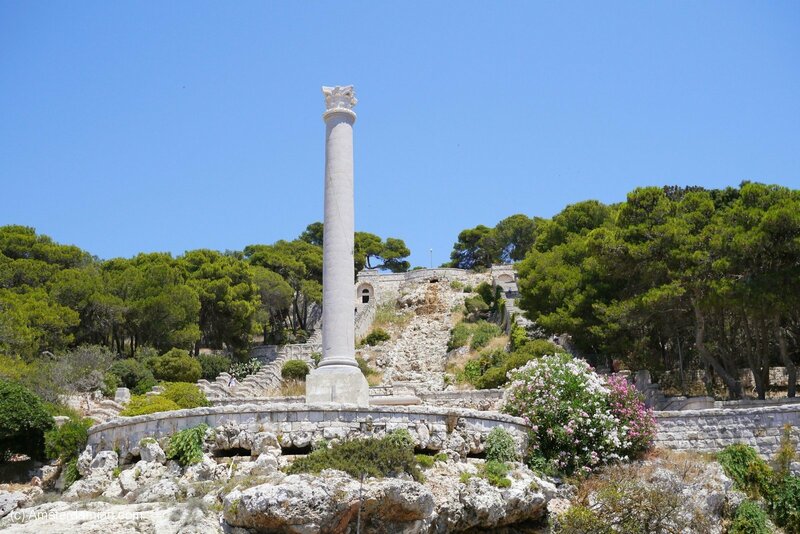 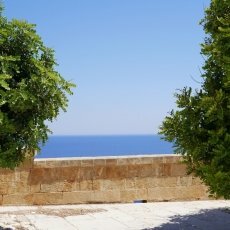 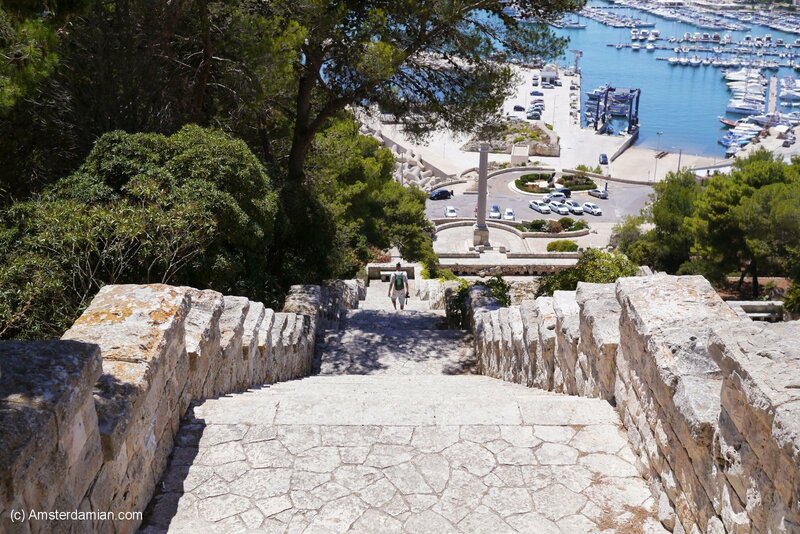 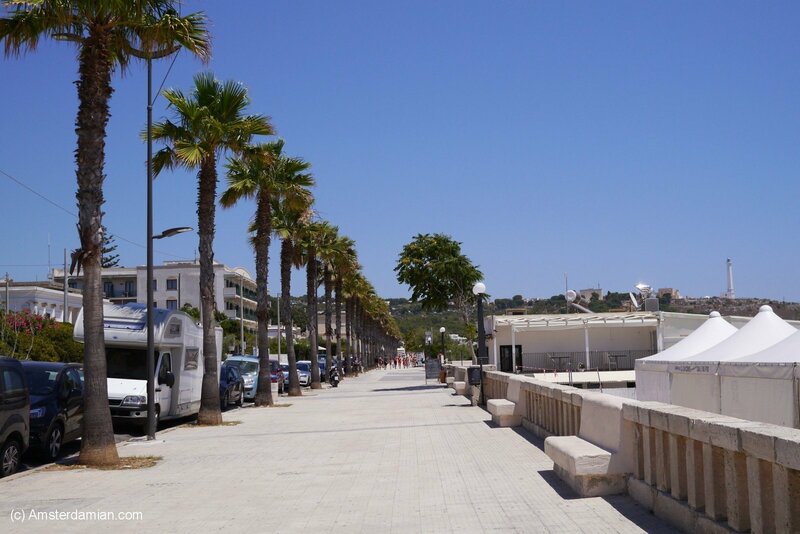 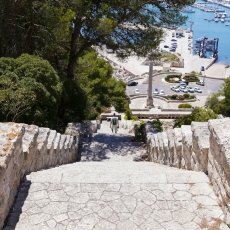 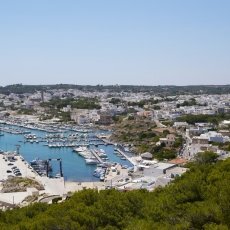 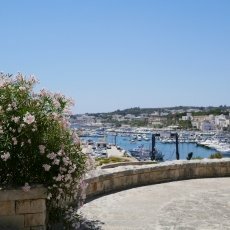 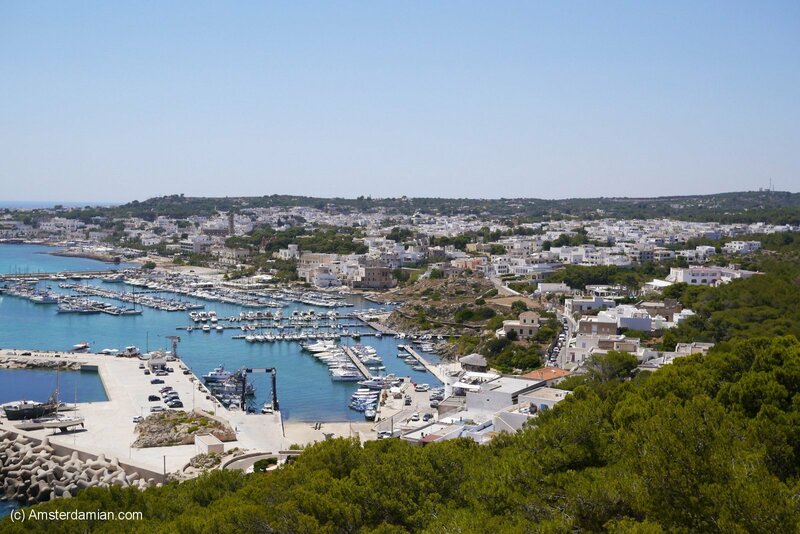 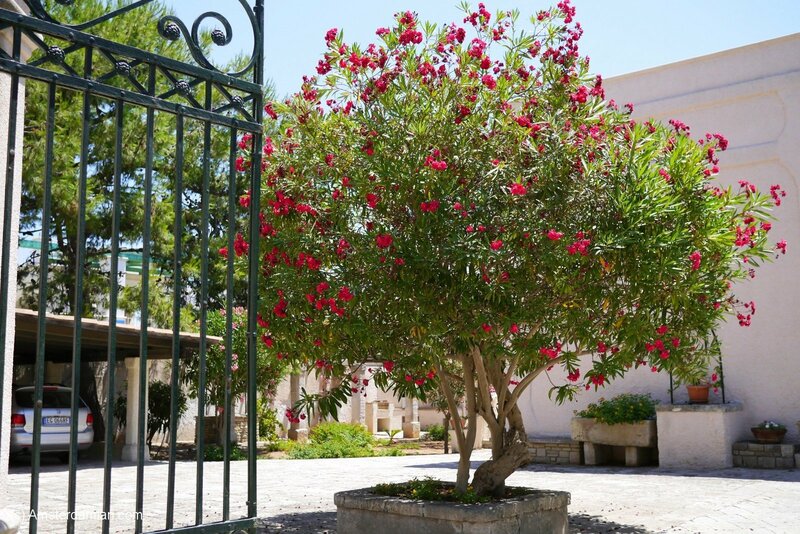 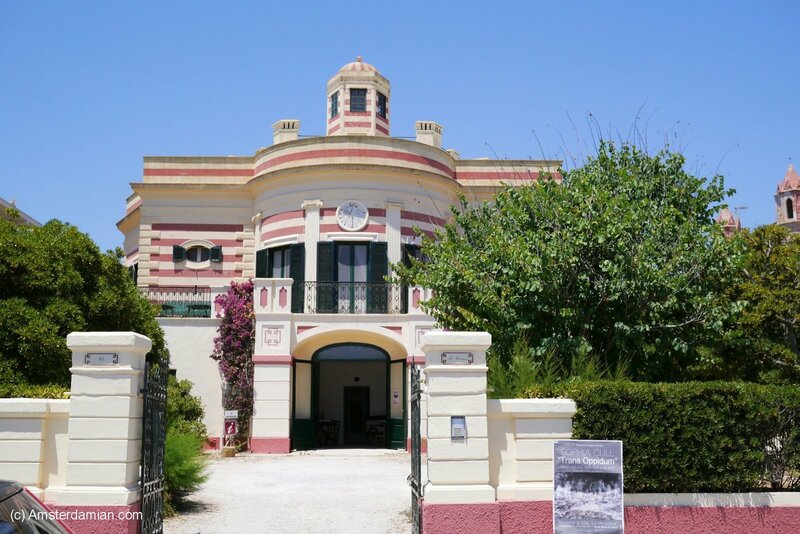 I spent only a few hours in Leuca, and I visited a part of it, admiring the villas, the green gardens and the marina, before embarking onto the great adventure of climbing the stairs to the lighthouse. 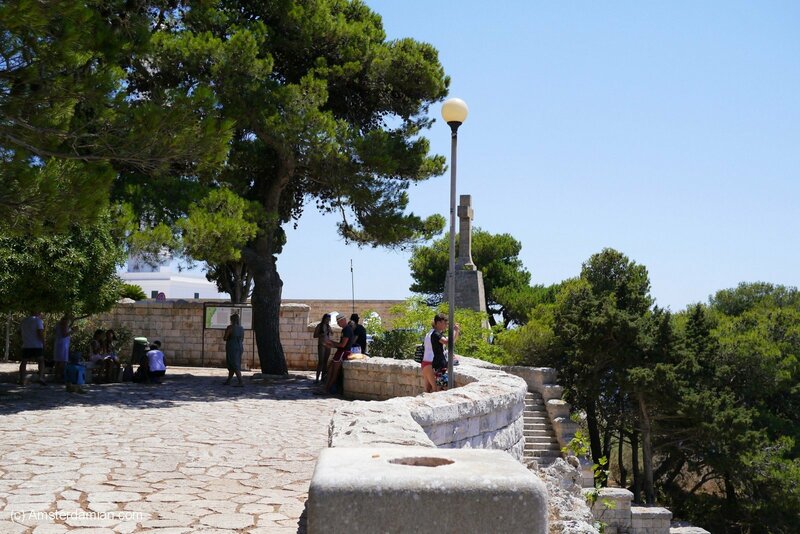 The stairs leading to the lighthouse border the Cascata Monumentale — a man-made waterfall which actually had no water falling at that point, but was still as monumental as the name states. 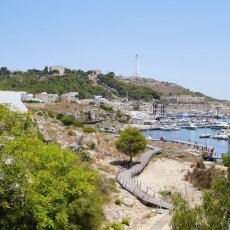 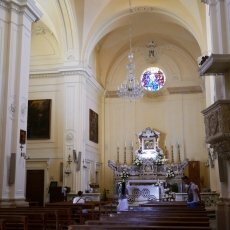 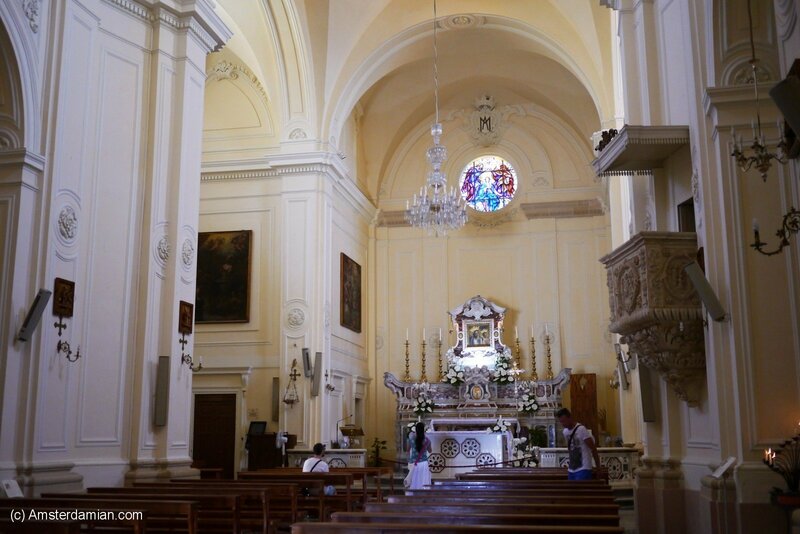 After climbing the stairs and making a lot of pit stops in the shade, drinking all the water I was carrying, I was rewarded with a spectacular view over the city and I could visit the Basilica (or Sanctuary) De Finibus Terrae, situated next to the lighthouse. 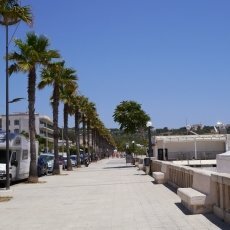 I rested for a while and admired the view, refilled the water bottle, then went back to town, had an ice-cream (it’s a habit of mine to eat an ice-cream in every place I visit) and took the bus that carried me back to the beach for a sunset swim.